I was prepping for my daughter-in-law’s baby shower and I’d been on my feet all day. It was getting late and I was super tired and achy. And, as it turns out, my husband had a difficult time getting home in Friday rush hour traffic. He didn’t make it until after 8 pm with the flowers I’d requested him to pick-up for the shower. Although I was so tired and really wanted to rest in my bed, I unwrapped each bundle of flowers and began sorting them by color and type. I had a vague sense of what I wanted them to look like, and what I didn’t want, but as I gathered up the stems, I just couldn’t make the bouquets look right. After several failed attempts to order the flowers the way I envisioned, I prayed, “Holy Spirit, I need help. Tell me how to do this.” At that moment it became clear how to do it. I mean, exact instructions. I put the flowers together as I thought and trimmed the stems, placed them in the small jar, and stood amazed at how they turned out. Just as I had hoped. My story doesn’t end here. The next day, I needed to pipe the icing onto the cupcakes I’d made. (Again, cake decorating isn’t my forte.) I knew from experience how horribly wrong this scenario could go. At first I thought I could just swipe some icing on top with a spreader – anything to keep my pitiful lack of piping skills out of public view, but spreading didn’t work. 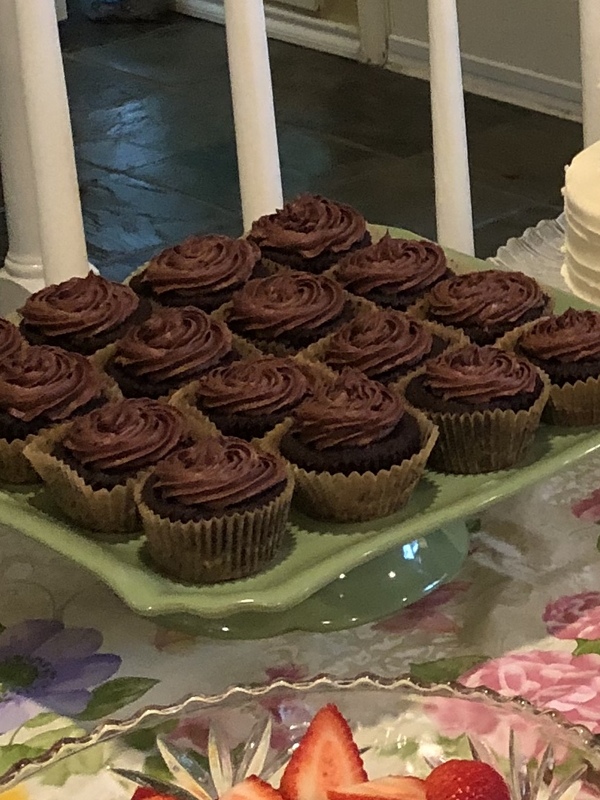 I remembered what happened the night before with the flowers and again prayed, “Holy Spirit I need help with this icing.” I loaded up my little frosting dispenser and began to pipe the frosting onto the cupcakes. You know what? It wasn’t like a professional would do, but it wasn’t a disaster either! It was actually o.k. The best I had ever done. I don’t know what you’re struggling with right now – maybe it’s something big and life-altering, or maybe something seemingly insignificant like flower arrangement and cupcake decorating – but I do know that if you’ll stop, take a deep breath, and ask Him, He will answer. The key is in asking and believing He will show you. When the instructions for the flower arranging first came to me, I didn’t feel any “Disney” magic. There was no fairy dust floating around, chills up and down my spine, or even a sense in my spirit of the Holy Spirit speaking to me. It was just a very clear thought: do this. I could’ve easily dismissed it. But, I acted on it, believing it was a thought from God. Our soul is designed to communicate with God’s Spirit, so a thought in my mind was His way of answering me this time. I encourage you today to just take a moment and ask Him. Then, be willing to act. He is a good, good Father who loves His children very much. Sometimes, we’re the ones who have to remember we are children and we need our Dad. He’s not too busy for us and He delights to be a part of our every day lives – the big, the small, the insignificant, and, if He’s not to busy for all that, He’s definitely available for the hugely important stuff too! ​Because life is sometimes tough, lonely, and confusing. But you don't have to do it alone! 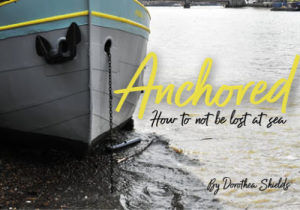 Let's start with my guide ​on navigating the storms of life. It's for you from me...and it's free.